They did it… Now it’s our turn! | Look Out Scarborough! They did it… Now it’s our turn! 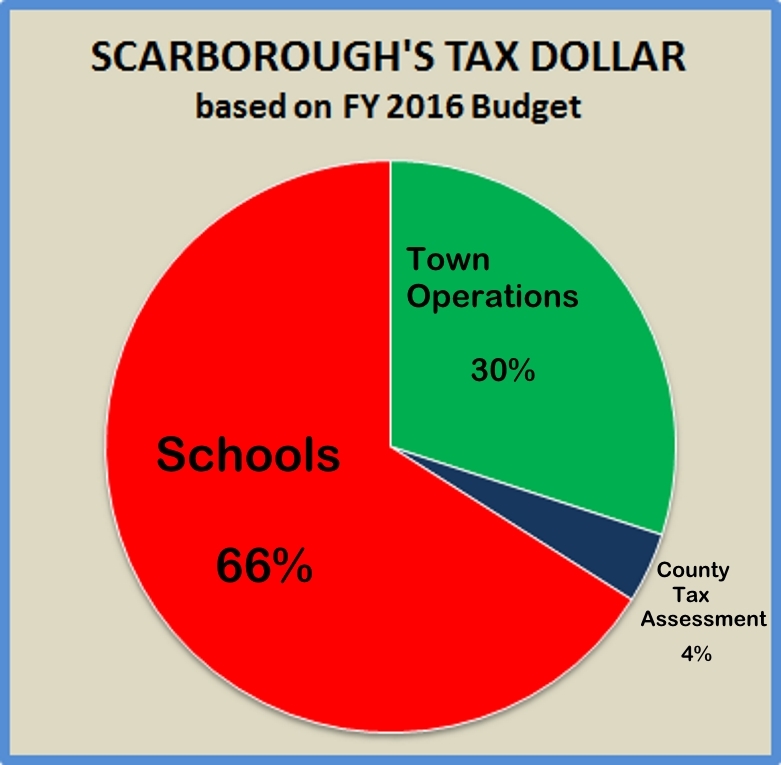 Of course the Town Council recognizes the fiscal constraints of Scarborough taxpayers! So there we have it, friends, lots of hot air and blather about balancing the School’s requests with the need to give taxpayers a fair shake. And we end up with an 8% increase in School funding. But the indignity doesn’t stop there… Now we have to endure the bleating of several elected officials as they boast of how successful this year’s budget process was! That’s right, some of them think they’ve crafted a most excellent budget for us poor saps in Scarborough. And, believe it or not, there’s even more bad news. As bad as an 8% School increase sounds this year, fasten your seat belts because we’ve been promised even more challenging times in the coming years. Translation: more unaffordable increases in property taxes over the next several years. But now – finally – some good news! No, GREAT NEWS! Now we, the lowly voters of Scarborough, get to have our big fat say on this nonsense. It’s time to vote on the School budget! The budget referendum vote is June 9. But there’s no need to wait until then to vote. 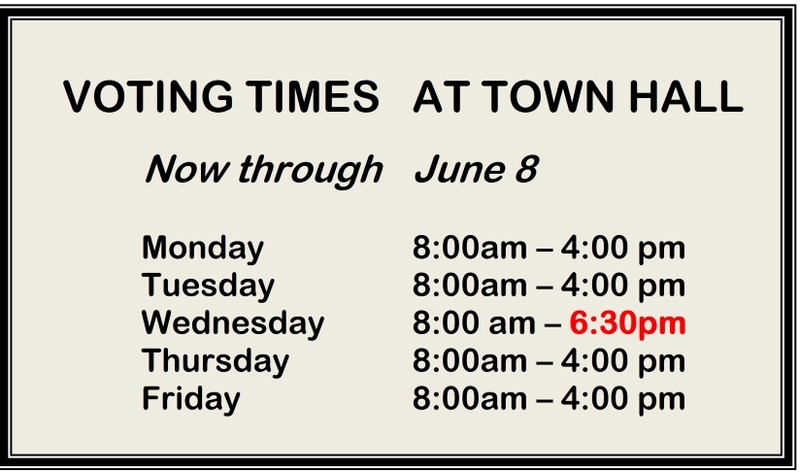 In fact, from now through June 8, you can vote at Town Hall any time during the normal business hours of the Town Clerk’s office. Please, do not delay. Grab a friend or two and head to Town Hall soon and vote. Say hello to Tody, our Town Clerk, or Tracy, the Deputy Town Clerk. “We can’t keep cutting the School budget year after year and expect to provide our kids with an excellent education.” How many times this budget season have you heard a version of that old chestnut? Unfortunately, many Scarborough residents have been misled into believing that the School budget has been cut year after year. And, as the above chart clearly demonstrates, that just ain’t so! It sure looks like an increase every year to us. In fact, in the five years from FY 2011 to FY 2105, there was a 28.8% increase! Did your family income, salary or retirement benefit go up 28.8% in the past five years??? And do you expect an 8% increase in next year’s income, salary or retirement benefit??? It’s fine to debate whether we’re spending enough on the Schools. Or whether we’re spending it wisely. But, please, let’s agree on some basic facts… among them, taxpayer funding of the Schools has increased consistently and at a rate of more than double the inflation rate over the past five years. Bitter medicine for some Scarborough residents. At the May 20 Council meeting, Councilors Babine and Donovan paired for a lovely duet rendition of “The Down-and-out Tax Blues.” They sang a sad lament about our future: probably more cuts in State education funding, probably new revenue sharing reductions from the State and definitely new County taxes that we’re on the hook for. All of which, apparently, we should just expect the Town to pass on to the taxpayers. There wasn’t any mention of matching Town expenditures to Town revenues. That concept of matching your expenses to your income (which you and I are forced to follow every day in our personal lives) must be too quaint or antiquated to be considered for the Town’s financial management. So the inevitable fate outlined by Messrs. Babine and Donovan seemed to be – higher taxes in the coming years! They paid lip service to the plight of those Scarborough residents who are stressed by the tax increases, but that was it. They weren’t quite as blunt as Ms. Leng in her now-famous suggestion that you should probably consider moving if you can’t afford the taxes, but the message seemed very similar. Long-time Scarborough residents beware – a majority of Town Council members apparently don’t really care if you can afford to continue living here or not. 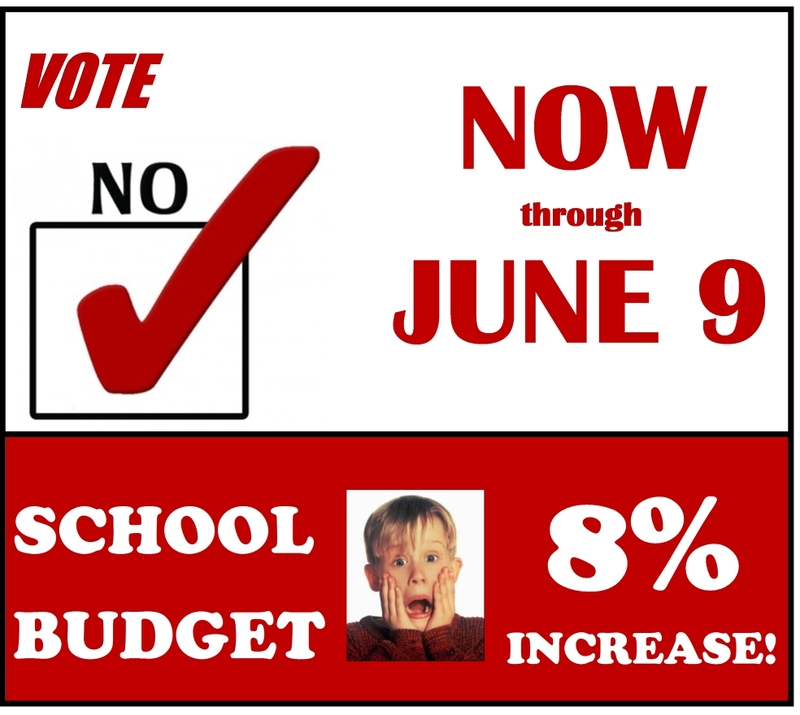 The vote on the School budget referendum is your chance to get their attention and send them a message. Please send them a message that can’t be misinterpreted… VOTE NO on or before June 9! There has been lots of wailing, moaning and gnashing of teeth about the $1 million reduction in State education aid (“GPA”) that Scarborough experienced for FY 2016. What is startling unclear is why that reduction took place. The story in a nutshell is: There is an incredibly complex formula with a number of variables that allocates the State’s total education aid funds (“the pie”) across all the School districts in the State. The factors considered in the allocation method are each municipality’s student enrollment, property valuation and certain School debt payments. But exactly how all this data gets ground up and spit out is, as far as we can tell, an enigma to all. We’ve heard it said more than once (and in all seriousness) that there is only one person in the State who fully understands the formula… the guy who created it years ago. The GPA calculation takes place each February in Augusta. So, essentially we have a black box that rumbles to life once a year in Augusta, spits out how much each city or town will get in educational aid and then is returned to a closet. The winning towns celebrate their good fortunes, and the losers cry foul. 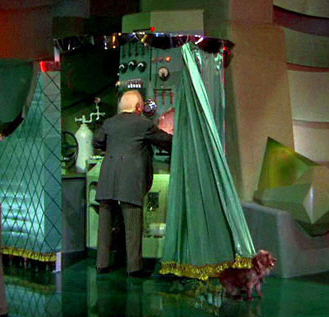 But nobody seems to be able to confirm whether the black box’s results were correct. Wouldn’t it be nice if someone from the School Board came out and explained exactly how much of that $1 million GPA reduction was attributable to each factor in the formula? What if someone transposed a couple of the numbers that go into the formula? Would we even know if there were a $200,000 error in the results? Very scary! One thing that is clear about the GPA distribution formula is that it is intended to be redistributive, that is, relatively poorer municipalities get larger school subsidies on a percentage basis than relatively richer ones. Scarborough, in the scheme of things, is a relatively affluent community. As such, the more relatively affluent we become, the less educational aid we should expect from Augusta. That’s a fact of life at the moment. Let’s hope the School and Town officials have a plan for dealing with this particular fact of life – other than blindly passing on future reduced State education subsidies to taxpayers on a dollar-for-dollar basis. 1. The overall increase is “only” 5.8% because the municipal budget increase was just 1.7%. When the smallish (and reasonable) municipal rate increase is combined with the huge (and unsustainable) 7.8% School rate increase, they average out to the 5.8%. 2. 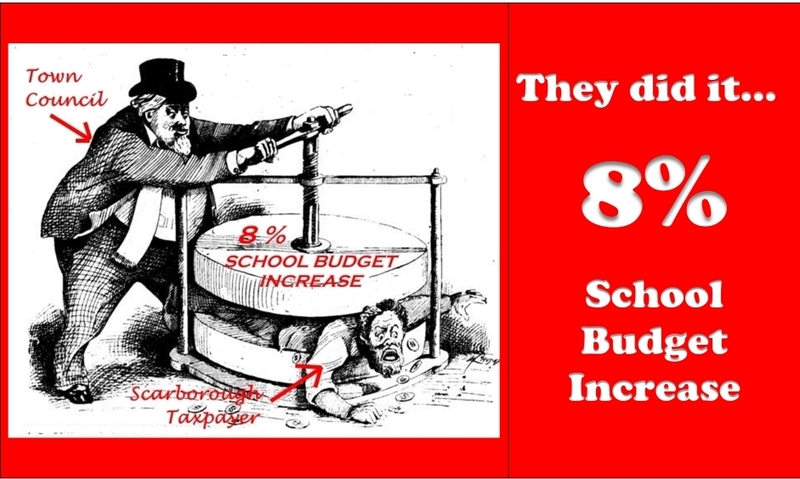 On June 9, the only thing you are voting on is the $39.1 million of taxpayer funding of the School budget – an 8.2% increase over last year’s level. That’s the breakdown of where your tax dollar goes. The Schools get 66%. In FY2011, the Schools got about 62%. Where does that trend end? 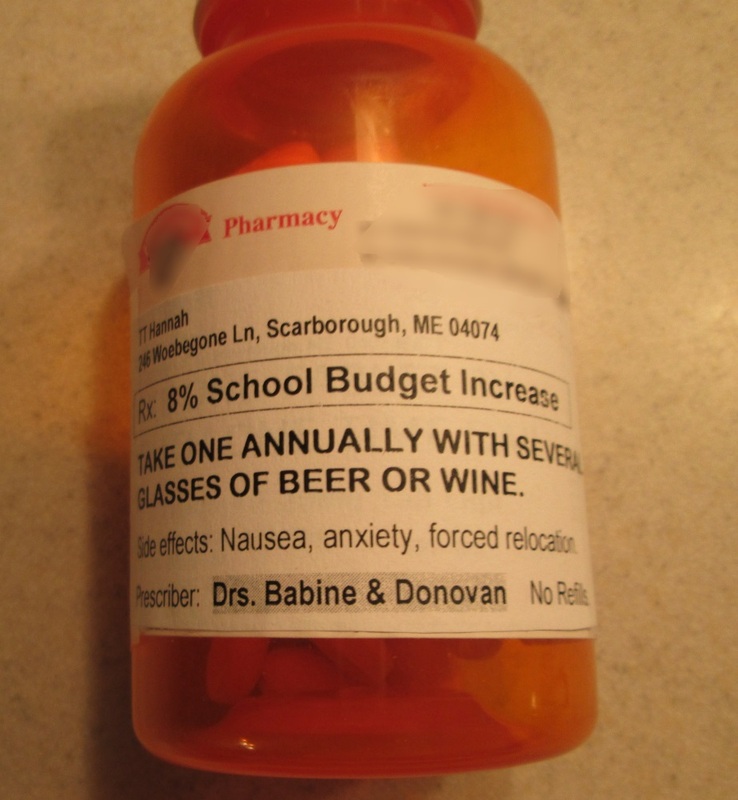 Bangor’s so-called school budget pig with a pro-School-budget addition. Our friends in Bangor sure know how to make a point. Click link here. We commend both sides of the Bangor school budget debate for their use of symbolism and non-traditional media in getting their messages out. Well done! For a look at one of the Superintendent of Schools’ most powerful weapons, please check out this column in The Current. Until next time, drive carefully, be neighborly and PLEASE VOTE! This entry was posted in Uncategorized on May 26, 2015 by Site Author. LOVE all this information with the awesome graphs/photos and the Smart Taxes team making it easy & quick reading. I WILL go out to vote this week! It might be helpful to also keep including in your newsletters how far in debt our town is collectively already and the amount of money paid annually to service that debt. It’s been published before, but if you keep it always in the forefront, helps to keep emphasizing the magnitude of the problem when looking at the proposed school budget. Thanks for all the work you do for our town! Thanks very much. We’re glad you’re staying informed… and will be voting soon!!! Your point about the current debt load is an excellent one. The Town recently issued another $6 million of bonds; that brings our projected debt balance as of June 30, 2015 to $98.5 million — more than $5,000 for each man, woman and child living in our fair Town. And here’s an even more startling number: the projected total debt service (i.e., principal plus interest payments) stands at $144.9 million between now and 2043. Remember, it’s those annual debt service payment amounts that automatically get rolled into future operating budgets. Yikes! Those are definitely blog-worthy numbers. Thanks for the reminder! As long as the laptops are in the budget, I vote against it. As long as this school system keeps trying to be everything to every possible educational whim–how many foreign languages in how many grades are there, for example–I will vote against it. Until the school system drastically reduces its cost of administrative staffing, I will vote against it. Bloat everywhere and it can’t be justified! Thanks for your comments! I think you have hit one of the nails on the head — the School administration appears to lack any ability to PRIORITIZE among competing needs. And why should they if the Town Council is simply going to pass all of their requests on to the voters? It is the Council’s job to set the bottom line increase in the School budget in an amount that is reasonable for Scarborough taxpayers. I don’t believe they did that this year. Thanks again for your reply. And please vote soon if you haven’t already! Great post Steve. You presented the facts in a manner that is clear and concise and should not cause the taxpayers’ eyes to glaze over; that’s effective communications. Thank you for your kind words! 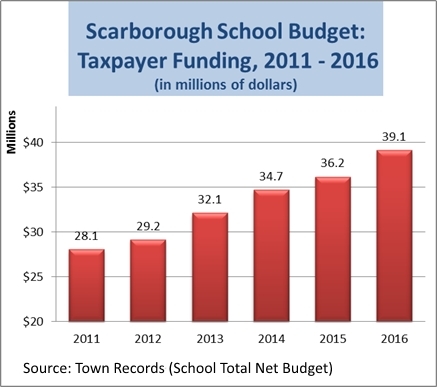 I believe a substantial majority of Scarborough voters — if they are well-informed — will be against the 8% increase in taxpayer funding of the Schools. So spreading the word is absolutely critical now. We all need to reach out to family, friends and neighbors (either electronically or in the old-fashioned ways) to get the message out. Thanks again for your support.